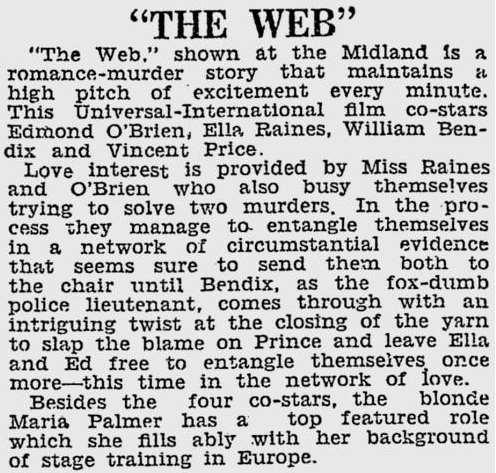 In 1947, Ella Raines was top-billed in the murder-mystery-drama The Web. It wasn't always called The Web, though. 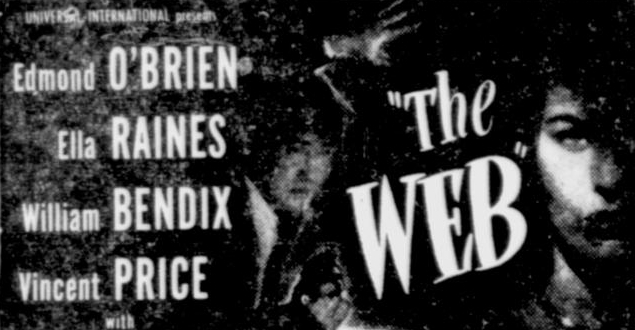 The original title for the project was "Jeopardy," which was then changed to "The Dark Web" before becoming simply "The Web." 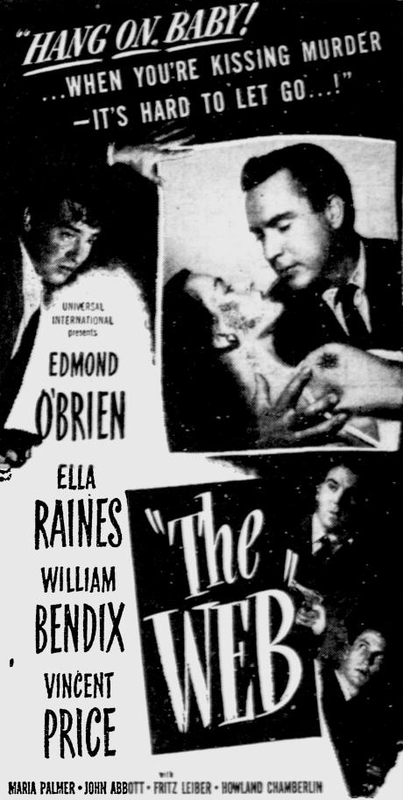 When the film began playing during the summer of 1947, at many theaters it was shown as the first feature with another Ella Raines movie (Time Out of Mind) as the second feature. 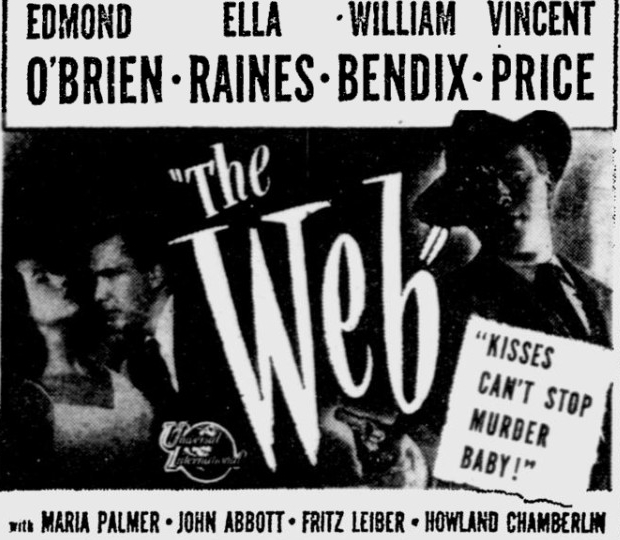 Here's a pair of original newspaper advertisements for The Web which feature two taglines for the movie: "Kisses can't stop murder baby!" and "Hang on baby...when you're kissing murder it's hard to let go...!" Here is a selection of newspaper articles, reviews and summaries concerning The Web. For the most part, they are quite positive about the film. 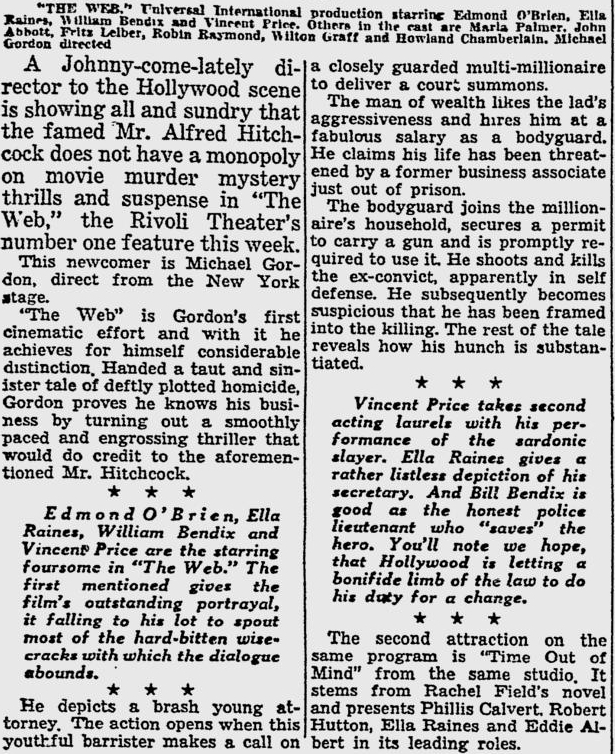 Ella Raines also gets some of the press here and some comments are made on her performance. 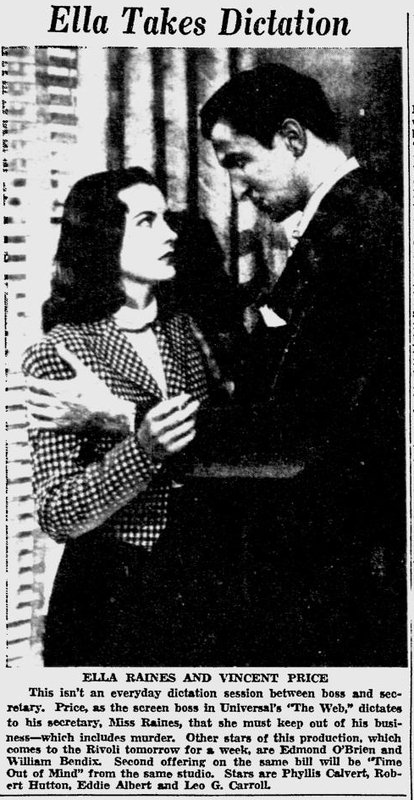 One reviewer notes that "Ella Raines is tantalizing in her capable performance" while another less enthusiastic reviewer writes that "Ella Raines gives a rather listless depiction." I tend to agree more with the first comment!